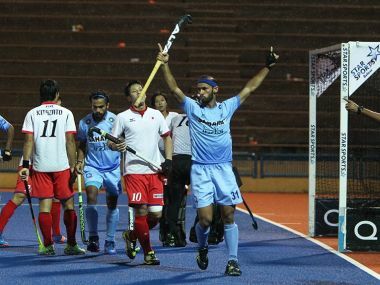 Powered by some highly impressive penalty corner conversions, India’s captain of the day, Rupinder Pal Singh, led the charge with six goals as India announced their presence at the 2016 Asian Champions Trophy in Kuantan, thrashing Japan 10-2. The other scorers were Ramandeep Singh (2), Talwinder Singh and Yousuf Affan. After the rains that held up at the Pakistan-Malaysia match for more than 20 minutes, this goal-deluge would have shocked the Japanese coaching staff. 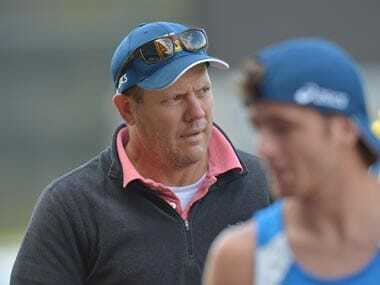 To put things in perspective, Japan is the silver medallist of the 2013 Asian Champions Trophy and finished fourth in 2011 when India won the gold. In fact, in the Sultan Azlan Shah Trophy played in April 2016, India beat Japan 2-1. 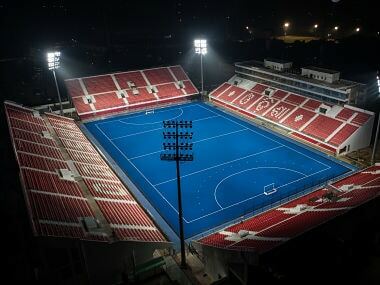 According to hockey statistician, BG Joshi, India’s highest winning margins against Japan came in the 1932 Los Angeles Olympic Games (11-1); in a Test match in Tokyo in 1932 (11-0) and then in the 1962 Ahmedabad Invitational where the Indians once again pulverised the Japanese 11-0. Rupinder Pal Singh, gathering up his gear under the drizzle after the match, expressed the team’s sentiments perfectly. “I think we started with a flourish and got those early goals which put the Japanese under pressure,” he said. “Sometimes, everything falls into place and today was the day when things went smoothly in the first two quarters.” This was the 153rd cap for the tall defender and he now has 65 international goals under his belt. Off the first four penalty corners, Rupinder Pal Singh powered in four goals; a few did deflect off but the precision and power was awesome. Any opposition would have conceded those goals. The ninth penalty corner flick drew gasps of admiration from the small crowd that remained behind after the Malaysia win to watch the Indians. It was Rupinder’s fifth goal of the match and the flick was powered through the middle with the Japanese goalkeeper left standing. The defenders were rooted to the spot; the ball speeding through to the upper layer of the net. The momentum was set when Sardar Singh, back in his favourite midfield position set the ball rolling with a pass that found Ramandeep Singh cutting in from the corner to neatly place it for the opening goal. It was Talwinder Singh-Akashdeep move that created the first penalty corners of the ten that would follow as Rupinder Pal Singh flicked it home for the second goal. By the 15th minute and the end of the first quarter, Japan was looking down the barrel as India built up a 4-0 lead. In the second quarter, India didn’t relax as they continued building through the midfield and it was good to see Chinglensana overlap and play as a forward. It was also the tactical build-up of inter-changing fast in the Japanese circle that led to the confusion among the Japanese defenders. At the break, India led 7-1 and for Japan the match was as good as over. In the second half, Japan struggled but still held their own, creating moves down the flanks and holding onto the ball. India didn’t relax but the sharpness was missing a bit as they held on a little longer than was necessary enabling the Japanese to fill in the gaps. It was in the 23rd minute that Japan found space in the middle to score their first goal of the match. Japanese captain Hiroki Sakamoto raced through the middle and just when the Indian defence was pulling in, passed to Kenta Tanaka who placed it past Sreejesh. In the 38th minute, Japan found their second goal after Sreejesh had pulled off a brilliant save off Hirotaka Zendana’s low penalty corner flick. But a series of defensive errors allowed the Japanese space in the Indian striking circle till Hiromasa Ochiai somehow pushed it past a bewildered Sreejesh. Rupinder Pal Singh found his sixth goal off India’s 10th penalty corner and then Yousuf scored his first senior international goal to close of the tally with a 10-2 score-line. India would be happy with the structure and the use of the flanks in the match. One did think that without a few seniors, it might get a little tedious in creating the opportunities but the midfield, under Sardar, Uthappa, Devindar and even at times Akashdeep, played to a plan which ensured the smooth movement of the forwards. India’s next match is against South Korea on 22 October and then the all-important clash against defending champions 23 Pakistan.